Brush your teeth with fluoride toothpaste twice a day for about 2 minutes to help keep your teeth and mouth healthy. Plaque is a film of bacteria that coats your teeth if you don't brush them properly. It contributes to gum disease and tooth decay. Check out Brush DJ on our Digital Apps Library. The app plays 2 minutes of your music so you brush your teeth for the right amount of time. Brush your teeth for about 2 minutes last thing at night before you go to bed and on 1 other occasion every day. It doesn't matter whether you use an electric or manual toothbrush. They're both equally good, as long as you brush all the surfaces of all your teeth and you use fluoride toothpaste. But some people find it easier to clean their teeth thoroughly with an electric toothbrush. 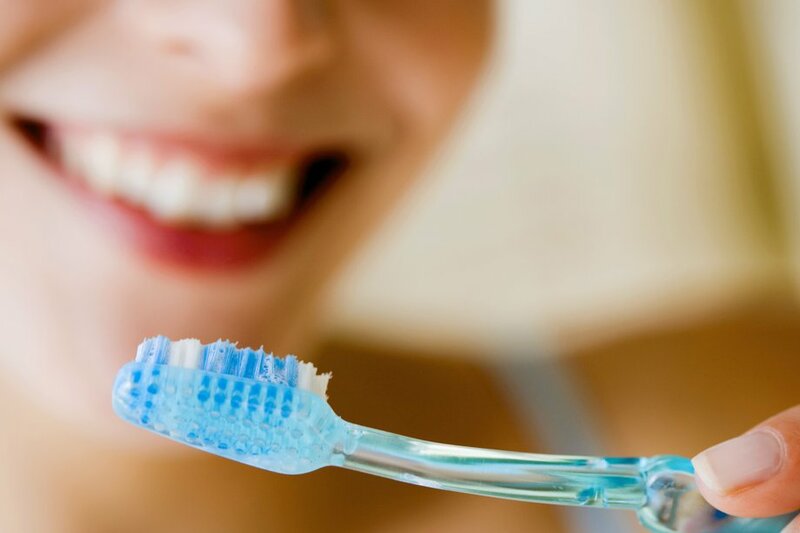 But making sure you thoroughly clean your teeth at least twice a day is more important than the type of brush you use. If in doubt, ask your dentist. It's important to use a toothpaste with the right concentration of fluoride. Check the packaging to find out how much fluoride each brand contains. Children don't need to use special children's toothpaste. Children of all ages can use family toothpaste, as long as it contains 1,350 to 1,500ppm fluoride. Children aged 6 and under who don't have tooth decay can use a lower strength children's toothpaste, but make sure it contains at least 1,000ppm fluoride. Children under the age of 3 should use just a smear of toothpaste. Children aged 3 to 6 years should use a pea-sized blob of toothpaste. Make sure children don't lick or eat toothpaste from the tube. Make sure you brush all the surfaces of all your teeth, which should take about 2 minutes. Remember to brush the inside surfaces, outside surfaces and the chewing surfaces of your teeth. Children need to be helped or supervised brushing their teeth until they're at least 7 years old. After brushing, spit out any excess toothpaste. Don't rinse your mouth immediately after brushing, as it'll wash away the concentrated fluoride in the remaining toothpaste. This dilutes it and reduces its preventative effects. Using a mouthwash that contains fluoride can help prevent tooth decay, but don't use mouthwash (even a fluoride one) straight after brushing your teeth or it'll wash away the concentrated fluoride in the toothpaste left on your teeth. Choose a different time to use mouthwash, such as after lunch. Don't eat or drink for 30 minutes after using a fluoride mouthwash. Flossing isn't just for dislodging food wedged between your teeth. Regular flossing may also reduce gum disease and bad breath by removing plaque that forms along the gum line. It's best to floss before brushing your teeth. Take 12 to 18 inches (30 to 45cm) of floss or dental tape and grasp it so you have a couple of inches of floss taut between your hands. Slip the floss or dental tape between the teeth and into the area between your teeth and gums, as far as it'll go. Floss with 8 to 10 strokes, up and down between each tooth, to dislodge food and plaque. You can use interdental brushes or single-tufted brushes instead of flossing, especially if there are gaps between your teeth. The brush should fit snugly between the teeth. Never use toothpicks to remove trapped food from between your teeth as you may damage your gums, which could lead to an infection.